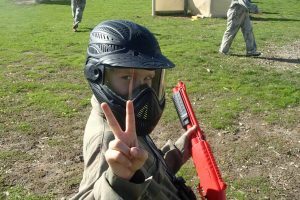 Dingley Paintball, located only 30 minutes from Melbourne’s CBD, has been issued with a 5-star rating due to their 100% safety record, world-class game zones and impeccable facilities. The Australian Paintball Association issues 5-star ratings to those paintball centres that place an emphasis on safety and meet a strict set of criteria, which includes having no paintball markers inside the safe zone, high mesh netting to prevent the ingress of paintballs, flushing WCs, all weather seating areas and first aid equipment and facilities. Dingley Paintball has shown great initiative in ensuring the safety of all players by introducing full-length camouflage overalls, complete with protective neck padding, full head protection goggles and custom-designed body armour to protect the upper torso. This equipment has meant players at Dingley will have a safer and more comfortable paintball experience. But we also recognise the need for adrenalin-pumping action! On a full day out at Dingley you will encounter 12 – 14 action-packed paintball scenarios, including Tomb Raider and Dodge City. Just recently Dingley Paintball added two massive USAF aircraft to their Checkpoint Charlie game zone, making it even more exciting as you attempt to cross the border. On arrival at the paintball centre your team will be greeted by the friendly staff who will get you checked-in and issued with your paintball artillery for the days play. During breaks you can rest in the themed base camp. Here you can also top up your paintballs and satisfy your food and replenish your thirst at the onsite shop. Lunch is also available. 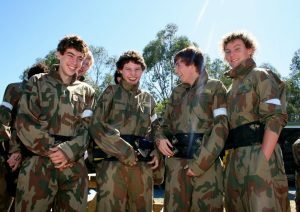 Dingley Paintball offers the very best paintballing experience in Melbourne. Click here to find out more details.